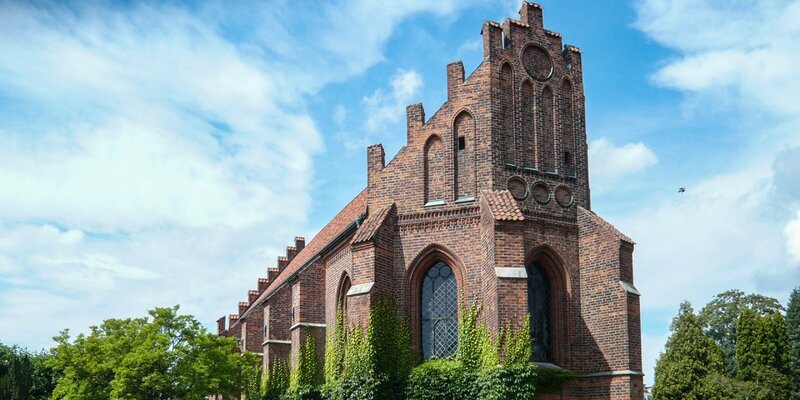 The church Vallkärra Kyrka, noticeable for its disproportionately large transepts, dates back to the early 12th century and is located in Vallkärra, a suburb on the northern outskirts of Lund. 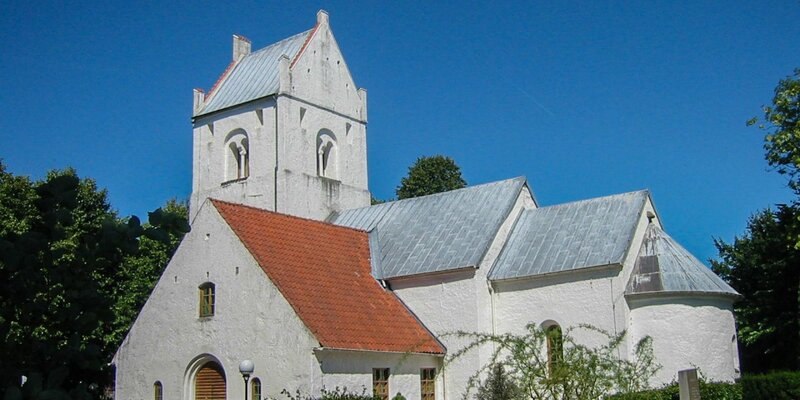 The Vallkärra Kyrka was built in the early 12th century in Romanesque style and initially consisted of a nave, the sanctuary and a small semicircular apse. 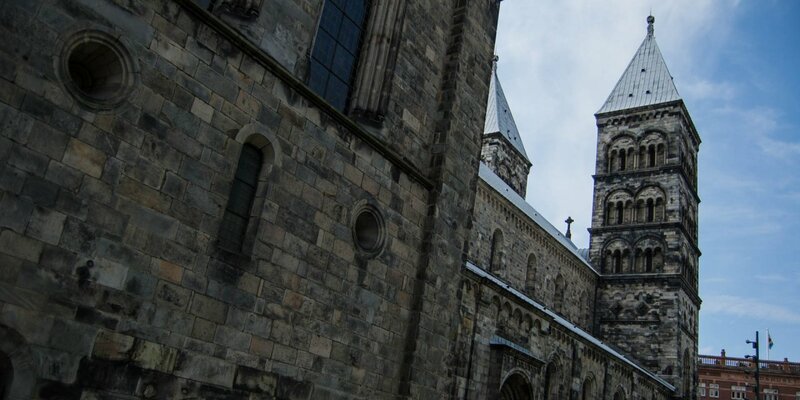 During a major reconstruction in 1844-45, the large transepts were added and the church tripled in its size. In the course of this reconstruction, the 15th-century cross vaults in the nave and choir were removed and the nave was raised slightly, creating a clearly visible difference in height to the sanctuary. Only on the ground floor of the church tower, the old cross vaults have been preserved until today. During a major renovation carried out in 1906/1907, Romanesque murals from the first half of the 12th century were discovered in the old part of the church, which had been painted over during the Reformation with white paint. 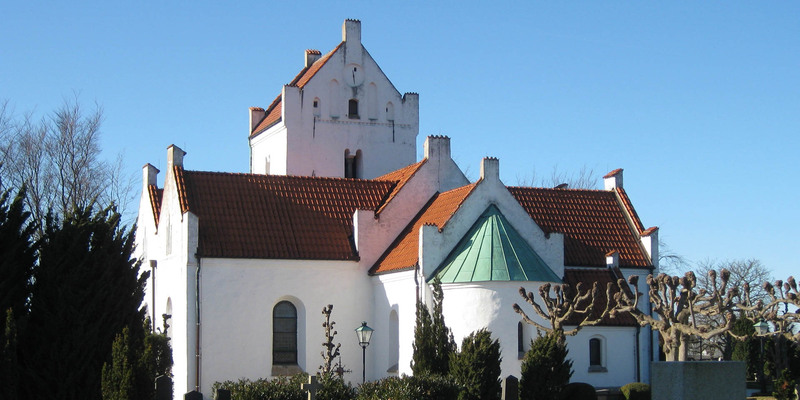 After intensive research, parts of the masonry with the paintings were removed and transferred to the Historical Museum Lund. Other historically important items in the church are the Renaissance-style pulpit from the 16th century and the former altarpiece from the same century, which today hangs on the wall above the passage to the sanctuary. The current altarpiece was painted in 1773 and consists of seven single images depicting scenes from the New Testament.